And infrastructure spending will be a top priority. “Get your shovels ready, because we’re going to be pouring money into infrastructure,” Ford said in a lunchtime speech at the Blue Mountain Resort. Planned changes to the apprenticeship system, which will allow for more flexible training and certification in a full trade or in a portable skill set, drew mixed reactions, including observations from OGCA government relations director David Frame that he needs to study elements of the actual budget legislation (Section 40) very closely to understand the implementation and details of the proposed new training model. 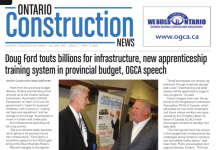 Notably, the Ontario Building Trades, representing organized labour, expressed support for the government’s infrastructure spending, even as it expressed concerns about the training provisions to replace the Ontario College of Trades (OCOT). 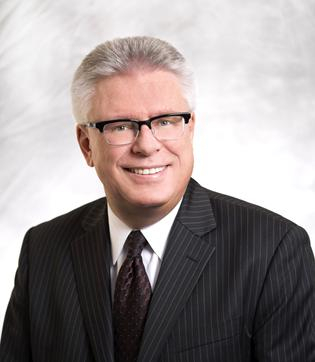 “The provincial budget delivers on key infrastructure investments to support jobs in Ontario’s construction industry based on the $14.7 billion projected for 2019-20,” said Patrick Dillon, business manager of the Provincial Building and Construction Trades Council of Ontario. “Small businesses can employ apprentices through employer groups” and a new “chief training and skills advisor will be appointed to support new programs,” he said. These changes have won approval from the Progressive Contractors Association (PCA) of Canada, which advocates for non-union employers and those whose workers are represented by the Christian Labour Alliance of Canada (CLAC) which encourages workers to develop multiple transferrable skills. 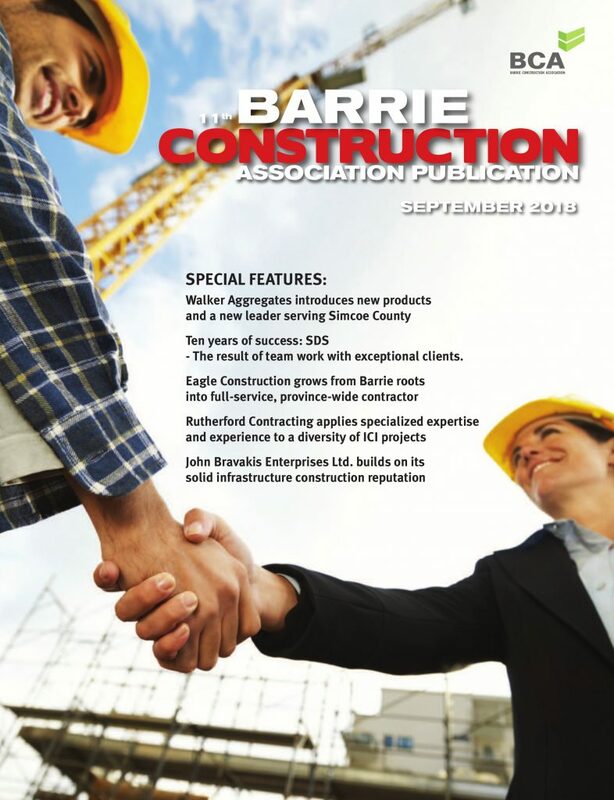 The budget document shows a commitment to creating “dynamic labour markets and safe workplaces” with plans to develop a “new governance framework” to replace the OCOT, the Building Trades said in a statement. 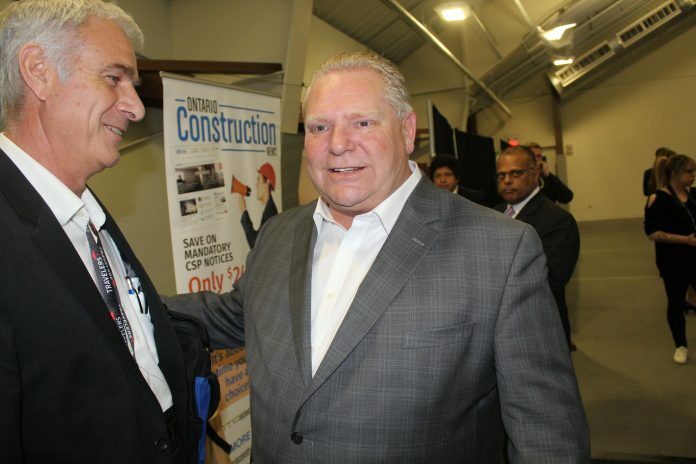 “Thus far, indicators are that there has been a lack of consultation between the government and the legitimate apprenticeship trades training providers in Ontario,” Dillon said. “We intend to work with the government to improve the trades training system insofar as the government shares that intent. “The Building Trades training providers will work with any and all interested parties, including government, consumers, employers and owner-clients to further strengthen the most highly trained, safest and most productive construction workforce in North America. 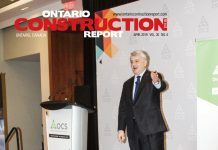 However, the actual structure of the training system to replace the OCOT is still unclear and the details will determine how the construction industry is able to adapt and implement the new procedures, OGCA’s David Frame indicated. The budget indicates significant capital contributions and planned expenses for both transit and heath care, though municipalities are expressing concern that the originally expected revenue from gas tax increases won’t happen, now that the government has cancelled these taxes. Among allocations are $28.5 billion for transit in Toronto, including anew 15-km. Ontario Line, replacing an originally planned much shorter TTC relief line. The budget also includes a Health Capital Investment of $17 billion in capital grants over the next 10 years to increase hospital capacity and address urgent issues, and close to $13 billion in capital grants over the next decade to build new schools in high-growth areas and improve the condition of existing schools. The government plans to cut red tape and end delays that have blocked the development of the Ring of Fire area in Northern Ontario by working with willing partners to ensure sustainable development in the North, the PCA says in its statement. “It’s a tax with the word carbon in front of it” but it simply makes everything more expensive. “How do you compete in the world’s economy with one hand tied behind your back,” he said.